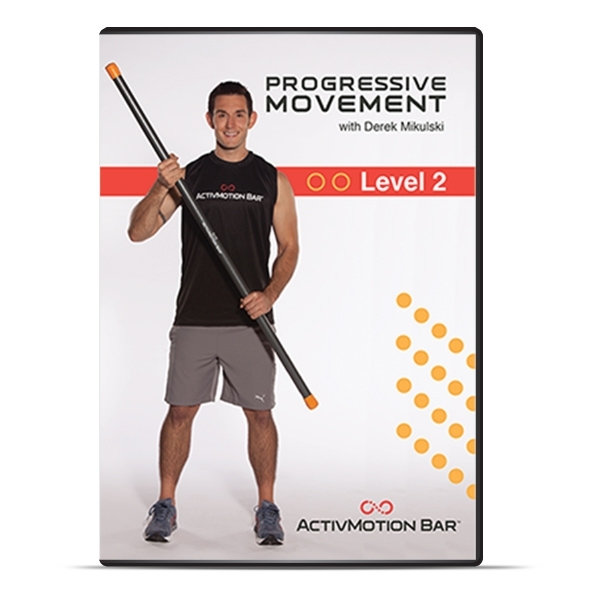 This ActivMotion Bar® DVD provides an intermediate to advanced level workout that increases speed and balance using the bar. 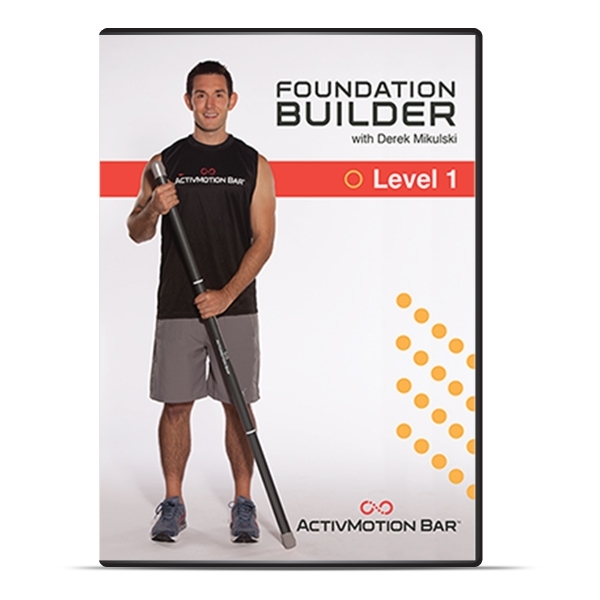 This ActivMotion Bar® DVD provides an advanced level workout using athletic, powerful movements performed as circuits. The ActivMotion Bar® training DVD series provides challenging workouts that progress in difficulty. All three exercise DVDs take advantage of the dynamic instability of the ActivMotion Bar to activate core muscles, build strength, improve balance and burn calories. Choose from DVD Level 1, 2 or 3. Each has a running time of 30 minutes. In the Foundation Builder Workout, ActivMotion Bar inventor Derek Mikulski shows how to link your mind with your muscles. You will learn how to build total body strength and integrate calorie-burning cardio using a circuit-training format. The starter level workout is all about establishing a strong base level of fitness and developing your core with the instability of the ActivMotion Bar. 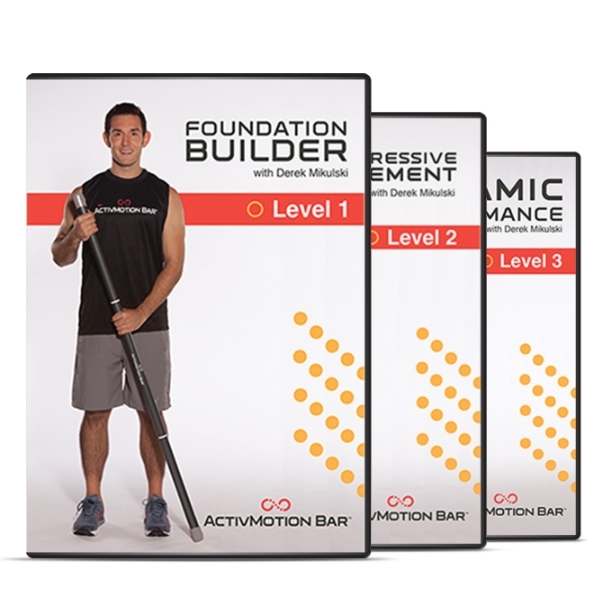 This second in the series of three ActivMotion Bar training DVDs branches into more intense and dynamic exercises that will further progress your core strength, balance and mind-muscle connection. The routine is done in a circuit-training fashion to maximize cardiovascular benefits and burn fat. The intermediate to advanced level workout features movements with the ActivMotion Bar that increase in speed, balance requirement and difficulty. 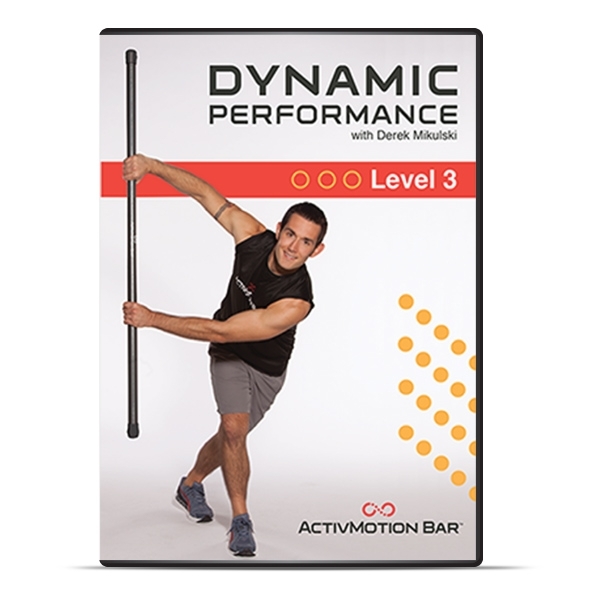 The third DVD of three in the ActivMotion Bar training series takes your workout to the next level. The program is composed mostly of circuits using large, athletic-based movements. It is designed to challenge your body from all different directions and angles while improving your overall fitness. Get ready to see your strength and fitness level skyrocket with this total-body circuit training routine.